Early nineteenth-century British literature is overpopulated with images of dead and deadly animals, as Chase Pielak observes in his study of animal encounters in the works of Charles and Mary Lamb, John Clare, Samuel Taylor Coleridge, Lord Byron, and William Wordsworth. These encounters, Pielak suggests, coincide with anxieties over living alongside both animals and cemeteries in the late eighteenth and early nineteenth-centuries. Pielak traces the linguistic, physical, and psychological interruptions occasioned by animal encounters from the heart of communal life, the table, to the countryside, and finally into and beyond the wild cemetery. He argues that Romantic period writers use language that ultimately betrays itself in beastly disruptions exposing anxiety over what it means to be human, what happens at death, the consequences of living together, and the significance of being remembered. 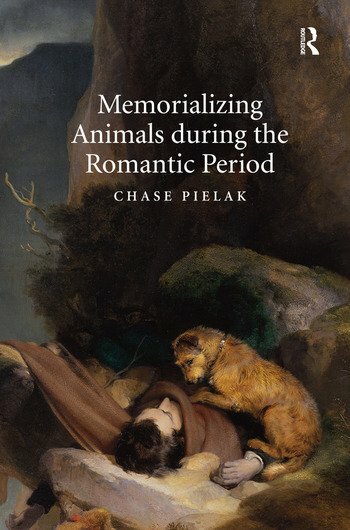 Extending his discussion past an emphasis on animal rights to an examination of animals in their social context, Pielak shows that these animal representations are both inherently important and a foreshadowing of the ways we continue to need images of dead and deadly Romantic beasts. Chase Pielak is Assistant Professor of English at Ashford University, USA. He has published on nineteenth-century literature, animal studies, and posthuman criticism.